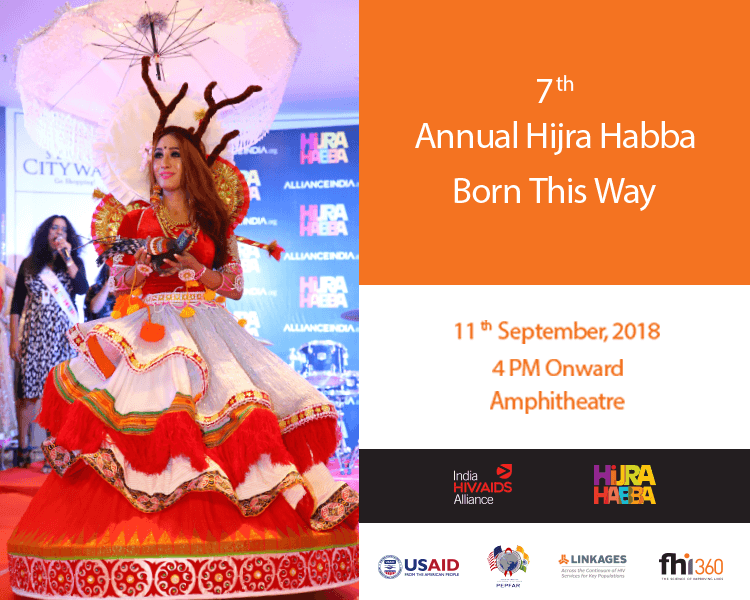 The 7th Annual Hijra Habba is finally here to celebrate the pride and vigor of the transgender community. In solidarity with HIV/AIDS Alliance, an organization working for the social rights of the transgenders in India, Select CITYWALK is all set to host the gathering of transgender entrepreneurs and leaders on 11th September. Chief guests for the event, Mr. Gautam Gambhir, cricketer Indian Cricket team, Ms. Laxmi Narayan Tripathi, acclaimed transgender rights activist, and Mr. Sushant Divgikar, Mr. Gay India 2014 along with 200 transgender leaders and activists will explore the vital questions. So join us in this wonderful commemoration of pride and equality for all and discover the brighter world of opportunities for our transgender community.